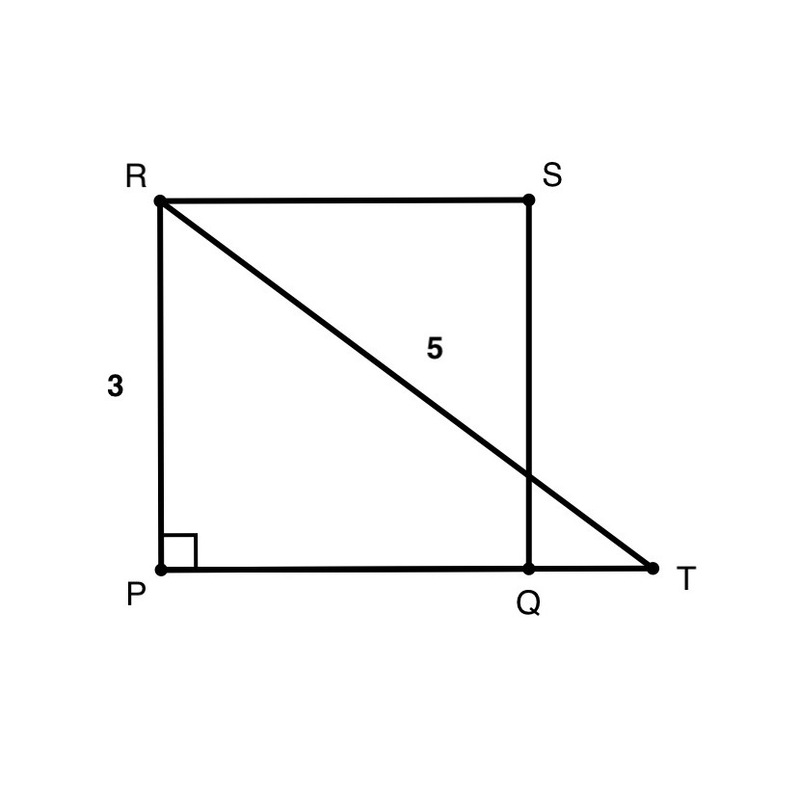 In the figure below showing three right triangles, segment PR measures 9 cm. What is the measure of segment US? Express your answer in simplest radical form. Let’s use the blanks method to solve this problem. We have 10 people to choose from and 10 seats. However, we have to divide by 10 because each arrangement could start at any of the 10 seats around the table. Multiplying the blanks and dividing by 10, we find a total of 362,880 ways. Two sides of a triangle measure 10 cm and 16 cm. What is the sum of the possible values of the other side? Since the triangle has all integer lengths, it must be a Pythagorean triple. The side of the triangle that measures 24 inches could be the short side or the long side of the triangle. Let’s cover the cases where this side is the short side. Pythagorean triples that could be candidates for this triangle are 3-4-5, 5-12-13, and 8-15-17. For 3-4-5, we know that if the short side is 8 times 3, then the long side would be 8 times 4, or 32. The triangle could not be 5-12-13 because 24 does not divide into 5. For 8-15-17, if the short side is 3 times 8, then the long side would be 3 times 25, or 45. Moving on to the cases where the long side is 24 inches. Candidates for the triangle are again 3-4-5, 5-12-13, and 8-15-17. For 3-4-5, if the long side is 6 times 4, then the short side is 6 times 3, or 18. For 5-12-13, if the long side is 2 times 12, then the short side is 2 times 5, or 10. Adding up all these values gives a final answer of 105. A certain right triangle has all integer lengths. One of the triangle’s legs is 24 inches. What is the sum of all possible lengths of the other leg? The first digit can be any number. The second digit can be any number except the one used in the first digit, and the same principle goes for the third digit. The fourth and fifth digits can be any number from 0-9. The last five digits, however, can only be one digit: the digit used in its corresponding spot of the palindrome. For instance, the last digit must be the same as the first digit. We don’t need to divide by anything because in phone numbers, order matters! Multiplying the numbers together, we find that there are 72,000 phone numbers that fit the bill. 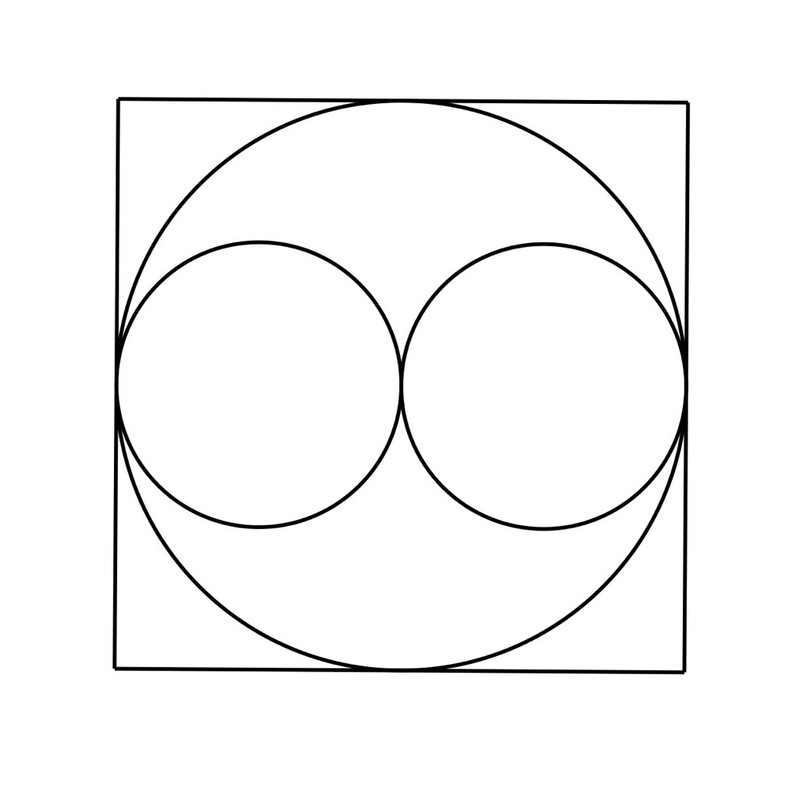 In the figure below, what is the ratio of the combined area of the two small circles to the larger circle? If 8 ties are striped red and blue, then 20-8=12 ties must be red or blue. Since there is an equal number of each color, 6 ties must be plain red. The probability of picking one of these 6 ties out of 20 total ties is 6/20, or 3/10. 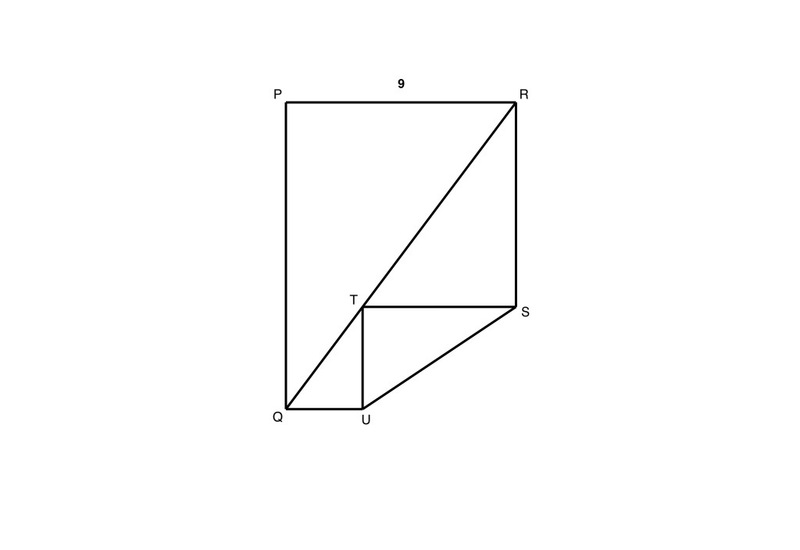 In the figure below, PQSR is a square with side length 3 inches, and RT is 5 inches. What is the length of the lower segment of QS? So there are 36 possibilities. However, we need to divide by 2 because there are two possibilities listed for each desired possibility; for instance, 2 and 4 is listed as 2 and 4 and 4 and 2. Finally the first number in the probability is 18. For the second number, we count the number of combinations whose difference is 2. This is quite simply 1 and 3, 2 and 4, 3 and 5, and 4 and 6. So the second number is 4. Simplifying the probability, we find an answer of 2/9.